This is the Droid you're looking for. For the past 38 years there hasn’t been a robot more loved by fans than Star Wars’ R2-D2. But that could all soon change when The Force Awakens hits theaters. Star Wars fans got their first glimpse of star wars BB8 Droid in The Force Awakens teaser. Get ready R2-D2 cause you are about to face some stiff competition. For The Force Awakens, BB8 sphero droid was brought to life using on-set puppeteers and visual effects. But for real-life appearances, the film’s special effects team was able to build a fully-functional BB8 Star Wars toy that could be controlled remotely off-stage. Sphero, a company that’d been making remote control robotic balls for years, is the real-life version of BB8 droid. 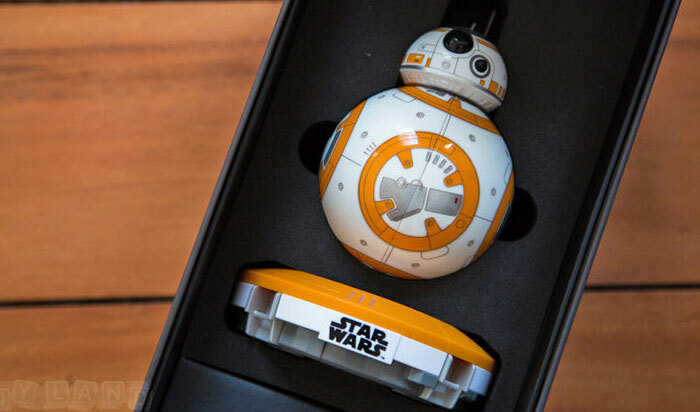 What Is Star Wars BB8 Sphero Droid? Aside from its diminutive size, Sphero’s miniature version BB8 appears to replicate perfectly almost everything we’ve seen the new droid so far. When paired with an app running on your smartphone or tablet, Star Wars BB8 can autonomously explore your home, perform a series of pre-programmed movements, and even respond to voice commands. But at any time, you can also grab a set of on-screen controls and send BB-8 rolling and exploring wherever you want. With a price tag of $150 Sphero BB8 is one of the most expensive Star Wars toys to hit stores. Except for the tiny floating head that always remains atop his body, Sphero’s BB-8 is almost the same product as the company’s robotic ball toy. BB-8’s body is a smooth plastic ball, about three inches in diameter. Star Wars BB8 droid will probably have few unfortunate bumps with furniture and walls. But it seems that doesn’t leave a scratch on him. So he should easily survive whatever perils are hiding in your home or office. The magnet is more than robust enough to hold onto the head should Sphero Star War s BB8 droid accidentally run into something. But it will occasionally pop-off if the tiny droid tries to roll under something where there’s not enough clearance. Luckily, it is very easy to re-attach it to his body. Small antennas you see sticking up on top are made from flexible plastic, so there’s little risk of them snapping off in a collision. Instead of a microUSB port on BB-8’s body, the toy’s internal battery is topped up using an induction charger. 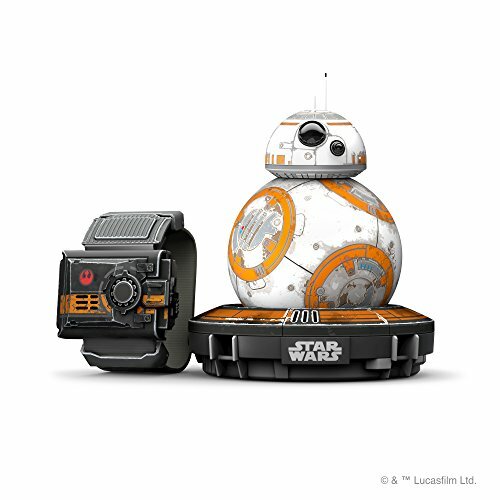 You set BB8 droid on an included base, and the toy will automatically start charging. Three hours of charging should provide you with about an hour of playtime. It is important to note that Sphero’s BB8 is an app-connected toy. You should have a tablet or smartphone running Android or iOS that can download the free accompanying app. If you don’t have it, then most you can do with Star Wars BB8 is charge the little droid and trigger a few cute head movements while it’s on its base. 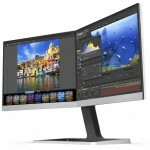 Not exactly exciting, and not worth $150 if you’re without a mobile device. 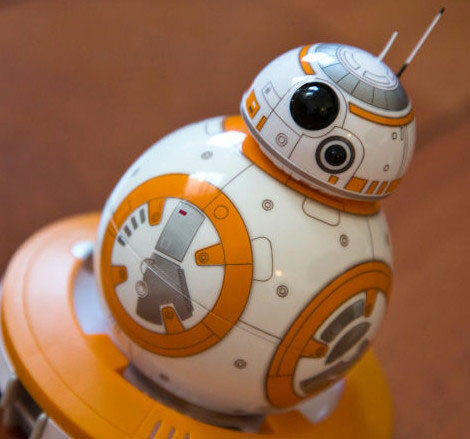 If you’re planning to buy Spheros BB8 droid, you’re probably already a big Star Wars fan. When BB8 is fully charged all you have to do is make sure Bluetooth is activated on your mobile device, launch the app, and that the tiny droid is nearby. The connection between BB8 Sphero and your mobile device happens automatically after just a few seconds. 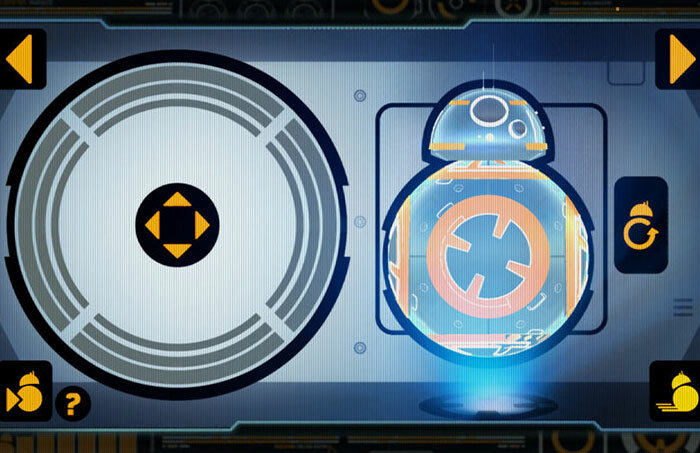 Once BB-8 droid is connected to your mobile device, you have three different modes of play to choose from. Those are Patrol, Drive or Message. BB8 Sphero droid doesn’t have any on-board sensors. That means he’ll continuously crash into walls, feet, and furniture while he explores a space. But by keeping tabs on the toy’s speed and heading, the accompanying app allows Star Wars BB8 to learn the ins and outs of space so he can eventually build a rudimentary map of room allowing him to later avoid obstacles he’s already run into. When BB-8 is out exploring on his own, the app shows his current speed, how far he’s traveled, and the path he’s taken while he crisscrosses the floor. 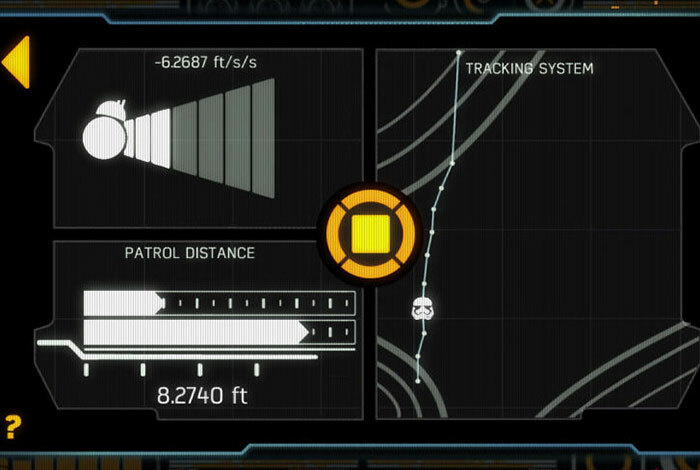 That’s Where BB8 ran into an obstacle; it will be shown as Stormtrooper icon. Collisions aren’t a problem, but falls might be. The lack of sensors means your beloved BB8 droid can easily roll down stairs or off a table. While the toy is made of durable plastic, it’s far from invincible. A fall onto concrete could easily dent, damage, or crack the plastic sphere, which would put an end to BB8’s ability to roll. The real fun of the toy is driving the droid yourself. 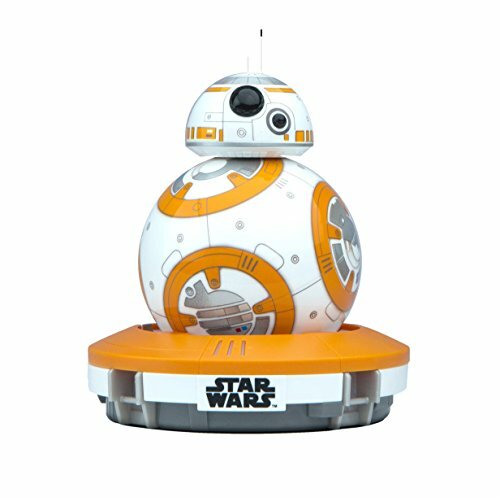 In Drive mode, there are two on-screen virtual joysticks that let you take control of BB8. Driving a round sphere can be a little tricky at times. The joystick on the left is used to drive BB8 droid forward and back, or steer him left and right. The joystick on the right is used to rotate his internal drive mechanism to ensure it’s always pointing in the direction you want. To know exactly which direction Star Wars BB8 is headed, a blue LED inside his spherical body glows as you adjust the orientation of his internal drive mechanism. As long as that blue dot is pointing in your direction, the left joystick will function as you expect it to, sending BB-8 rolling away from you as you slide your finger forward. The touchscreen controls in the app are responsive, but you’ll need some time to get used to them. 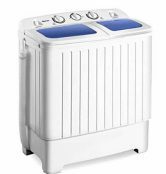 In Drive mode, you can trigger a series of pre-programmed animated responses and movements at the push of a button. Given that holographic technology doesn’t exist yet, Sphero has come up with a clever way to recreate it through the app using augmented reality. Once you’ve recorded a message using your smartphone or tablet’s front-facing camera your message will appear to be projected from BB8 tiny head. But only when looking through your device’s screen. It’s hard to say for sure how accurate Sphero BB8 droid is to the one starring in The Force Awakens given none of us have seen the movie yet. 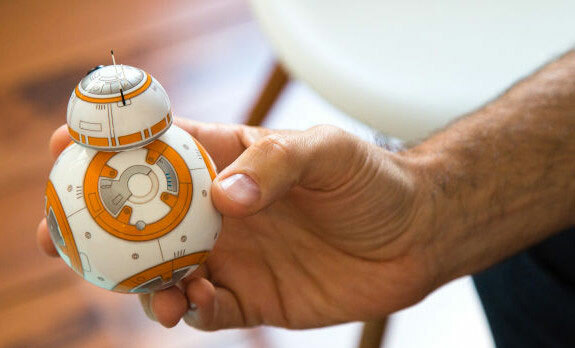 But it looks like Sphero has nailed the design and proportions with its miniature version of the droid. A lot of care and attention to detail has gone into its design, it’s manufacturing, and especially the app. If you’re a Star Wars fan, you will probably get tempted to purchase one for yourself. 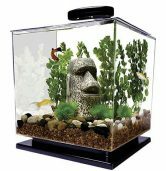 It moves and responds to obstacles with incredibly life-like reactions, motions, and sound effects. It’s also just incredibly fun to play with. 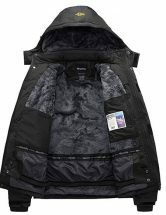 You’ll be glad you only had to spend $150. Star Wars Sphero BB8 spherical body is completely sealed so nothing can ever get in. But his magnetic head uses a pair of rolling wheels that are excellent at collecting lint and dirt. And everything that gets stuck to BB-8’s body will end up in there. 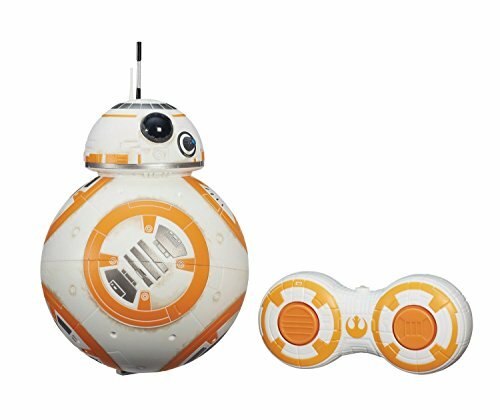 The lack of sensors anywhere on the toy also means you’ll have to be careful where you choose to play with BB8 Sphero droid. The toy moves very quickly on smooth, hard surfaces. Star Wars BB8 toy tends to wobble a lot. Especially when rolling around on hard, smooth surfaces. Your success with voice commands will vary depending on where you’re trying to talk to the droid. Should You Buy Star Wars BB8 Sphero Droid? This little droid is already very popular. It will be even more once the film comes out. Even if you’re not interested in this tiny droid sidekick, buy one if you find it. You’ll easily be able to make a profit selling it to another Star Wars collector later on. When Disney released the first trailer Ffor Star Wars: The Force Awakens, one of the characters that caught most people’s eye was BB8. It’s an adorable rolling droid. Now, Disney is bringing it to everyone through Sphero. Although this droid comes on a smaller scale than the prop introduced at the Star Wars Celebration, it is as close to the real thing as you’re going to get.